Kate in the Kitchen — Recovery from eating? Really? You need to recover from eatng? In my family, for certain, and probably in many of yours too. Families are just like that. When you get together, across generations and siblings and cousins, there is certainly a lot of good eating. Any gathering of Mike’s large clan is always a celebration of food. 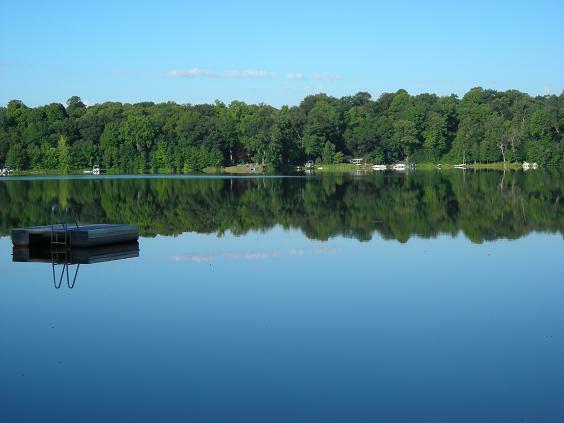 Our lake home, the beloved Loveless; Summer weekends are most often spent within it’s well worn walls, following the same rituals and routines each year, only with bigger kids at each passing season. The food is always good and there’s plenty of it. My everyday food needs are usually not followed as diligently when I am there as it would most likely mean making a meal completely different from what everyone else will eat. I’m not particularly interested in doing that when there’s relaxing, boating, sunning, snoozing and hanging out with cutie pies like these. *sigh* Don’t you just love little girls in jammies with bed head, framed by morning Summer sunshine? 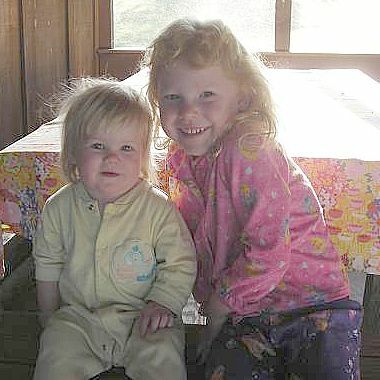 That’s Nina (17 mos) on the left and 4-year old Bella on the right, the two youngest cousins. For this particular weekend, the place was jammed, hopping with activity, chatter, games, some indignant tears and cries of “No FAIR!! !” (always, always happens) as well as lots of good boating. My nephew Joe, age six, got up on his wakeboard for the first time and the smiles were miles wide at that achievement. Breakfast is my favorite meal to make when we’re at the lake. I always make pancakes because they are crowd friendly and endlessly versatile, maybe some kind of meat and plenty of fresh fruit. 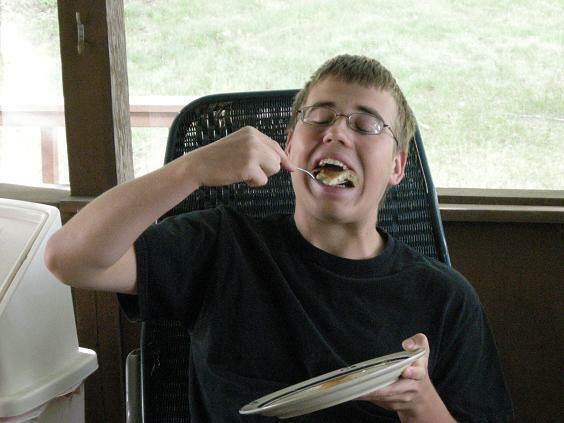 Griffin always enjoys a plate of fluffy pancakes. 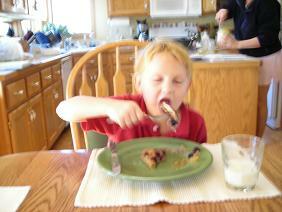 Apparently taking lessons from his cousin Matt on how best to eat Kate’s breakfasts. Usually, by the time we head home from a weekend’s respite overlooking Loveless, with peaceful quiet nights and sleepy mornings with plenty of dark coffee and good conversation on the screen porch, my tummy is crying out for relief from the excessive and usually heavier food than I’m used to eating. I have been collecting a lot of very simple, easy and light summer recipes lately, the kind that require little else besides the bounty of produce available now and a few quick spices or seasonings. These ultra quick Chipotle Black Beans came together in about 5 minutes. We keep canned chipotles on hand for our burritos, and they add a warm and spicy kick to black beans, red onion, garlic and tomato. 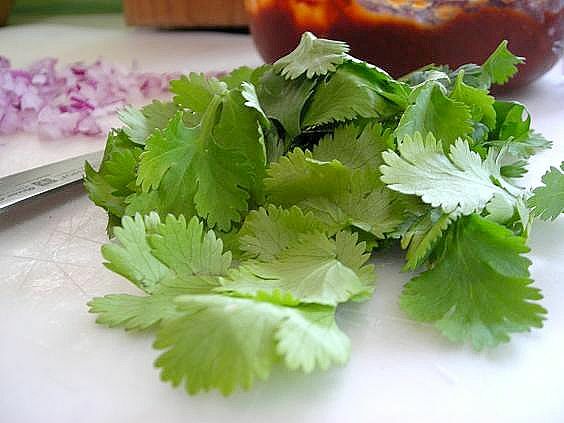 Stir in some chili powder, cumin and cilantro and give it an hour in the fridge and you’ve got a healthy side dish guaranteed to start you back to better eating. 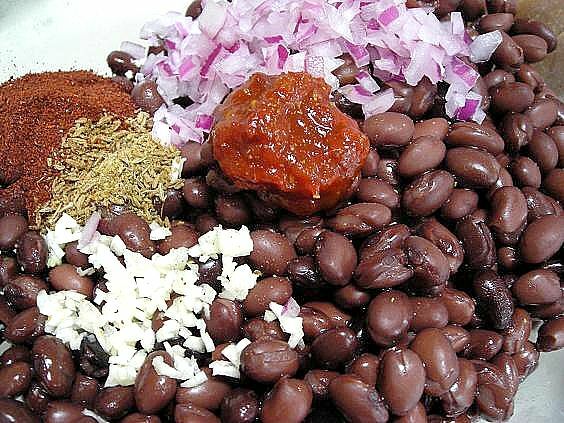 In a medium bowl, combine all ingredients and blend well, mashing some of the beans slightly with your spoon. Taste and season with salt, if desired, and pepper. Chill in refrigerator for an hour or so, and stir to blend flavors just prior to serving. 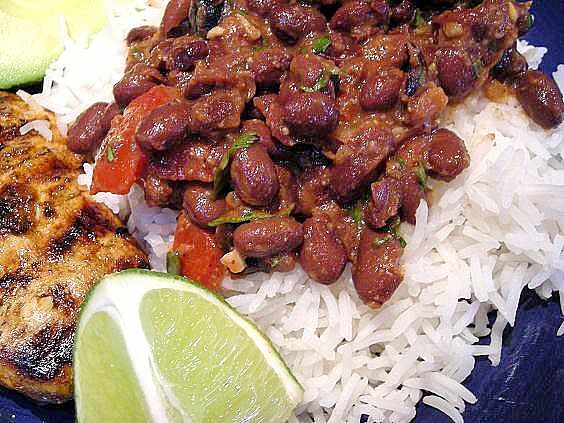 We served this with rice topped with cubed avocado and mesquite grilled chicken. Sweet relaxation! I have never added chipotle to my black beans. This will be yummy! I love chipotle black beans. My hubby usually makes it with a little bacon as well! And I totally adore the pic of your babies bathed in morning light! Yum yum yum! Hi Kate, I am back and I love these beans! And Griffen looks so much like you! Wow!